The Mt. Crested Butte Town Council voted this month to continue to help fund the One Valley Prosperity Project (OVPP), a Community Builders Task Force initiative to create a more prosperous future for the valley. The decision did not come, however, without some questions and concerns from councilmembers looking to see results. According to town manager Joe Fitzpatrick, the funding request was for $9,200 in both 2017 and 2018. The town of Mt. Crested Butte has already contributed $6,500 to the OVPP in 2015, which was the same year the OVPP process began. “What we need to raise funds for at this time is to develop regional indicators to help track our progress. When we set [OVPP] up, we said we can’t just create a document that sits on a shelf and nobody reads again. It’s a waste of effort, money and time. To keep this alive and well, we need to have indicators to measure things like poverty and housing,” Fitzpatrick told the council at its April 4 meeting. He has been involved throughout the OVPP process. Fitzpatrick said the funding was also needed to help host an event, create a progress report, and develop a website to keep the Gunnison Valley up to date on the project’s progress. “The budget was set up to receive $9,200 from the county, the city of Gunnison, Crested Butte, and Mt. Crested Butte,” Fitzpatrick explained. 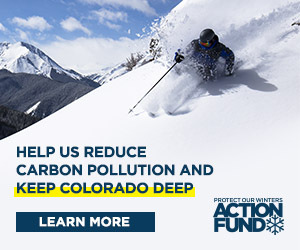 He said that Western State Colorado University and Crested Butte Mountain Resort were being asked to contribute $2,000 each and Crested Butte South contributed $600. Combined, that would fund the 2017 budget, with similar funding needed for 2018. Councilmember David O’Reilly hesitated before supporting the contribution. “I am just a little concerned and a little doubtful,” O’Reilly said, noting that he had been involved in early economic development projects guided by the Sonoran Institute, which also helped guide the OVPP process. That study did end up on a shelf collecting dust. “Can you share with the council what has happened, a couple of examples up to this point that have taken place and show some progress?” O’Reilly continued. Fitzpatrick passed out a bilingual postcard for the Gunnison Valley Wellness & Health Guide, which is a guide to valley-wide wellness resources from spiritual resources to exercise and recreation (www.gvwellnessguide.org). O’Reilly still needed some convincing. Councilwoman Janet Farmer saw benefits to keeping the process going. “The thing that impressed me the most was that it has created collaborative discussions that had not been happening. There have been some really collaborative efforts,” she said. “It’s the one thing that has brought the whole valley together and talking,” agreed town finance director Karl Trujillo. “This county has never had a plan of this quality and at this level that laid out: Here are the goals, here’s how we’re going to get there,” Fitzpatrick added. Clayton further explained that the actions being taken by the Gunnison Valley Regional Housing Authority to create permanent funding for affordable housing had been made possible by the OVPP process. Town staff and much of the council remained convinced that the OVPP plan was moving into implementation and worth funding. Mayor Todd Barnes thought $18,000 over two years was a drop in the bucket. Councilmember Danny D’Aquila did ask, however, if the OVPP process would help with specific challenges at the north end of the valley, such as the loss of the motor vehicle office and the changing relationship between the Gunnison County Sheriff’s Department and the Mt. Crested Butte Police Department. The sheriff is opting to renegotiate the contract through which the Mt. Crested Butte police have fulfilled sheriff’s services at the north end of the valley. Fitzpatrick felt that wasn’t the role of the OVPP process, although councilmember Ken Lodovico pointed out that the OVPP is dedicated to valley-wide collaboration, and those challenges seemed to grow out of a lack of collaboration. In the end, however, the council opted to approve the expenditures for the OVPP, with D’Aquila himself making the motion. He requested that the council be updated on progress as appropriate.